A Japanese shipwreck off the coast of Santubong in 1941. KUCHING: Sarawak Heritage Society will hold a public talk on ‘Borneo’s WW2 Japanese Shipwrecks: an underwater living museum’ on Feb 13 at 6pm, at Museum Café, Main Bazaar here. In 1941, several Japanese navy ships were sunk off the coast of Santubong and a number of others off the Borneo coast during World War Two (WW2). 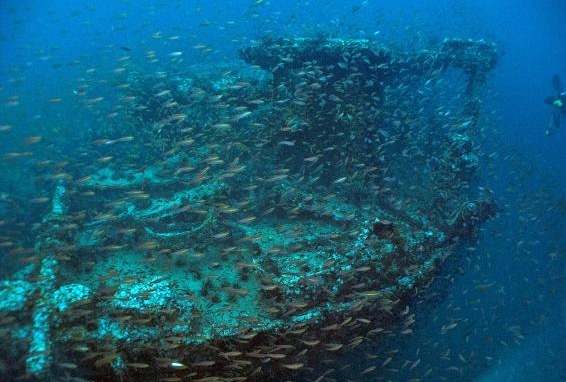 As these wrecks contain valuable metals, a number of them have been scavenged for scraps, some quite recently. But wreck sites are war graves with lost lives. They call for the attention of the heritage conservation community, shipwreck divers and naval historians. Ernest Teo is a professional diving instructor, wreck diver and advocate for the protection of the WW2 Japanese shipwreck historical sites. He is also the current Vice President of Sarawak Heritage Society. Japanese shipwrecks off Borneo coast WW2 0 out of 5 based on 0 ratings. 0 user reviews. Looking for the missing and vanished!